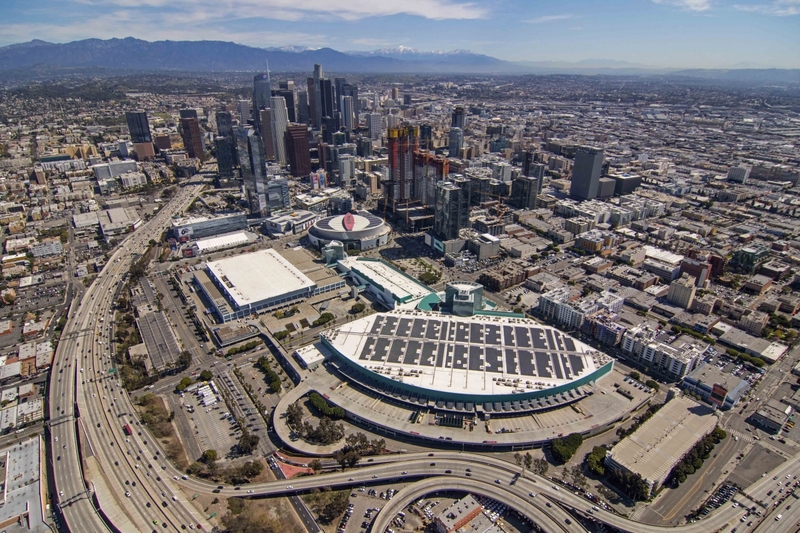 Los Angeles plugs in a giant solar array on the roof of the South Hall at the Los Angeles Convention Center, making it the largest solar array on a municipally owned convention center in the United States. Doane Liu, Executive Director of the City of Los Angeles Department of Convention and Tourism Development; Brad Gessner, Senior Vice President of AEG Facilities and General Manager of the LACC and Mayor Eric Garcetti celebrate Los Angeles’ No. 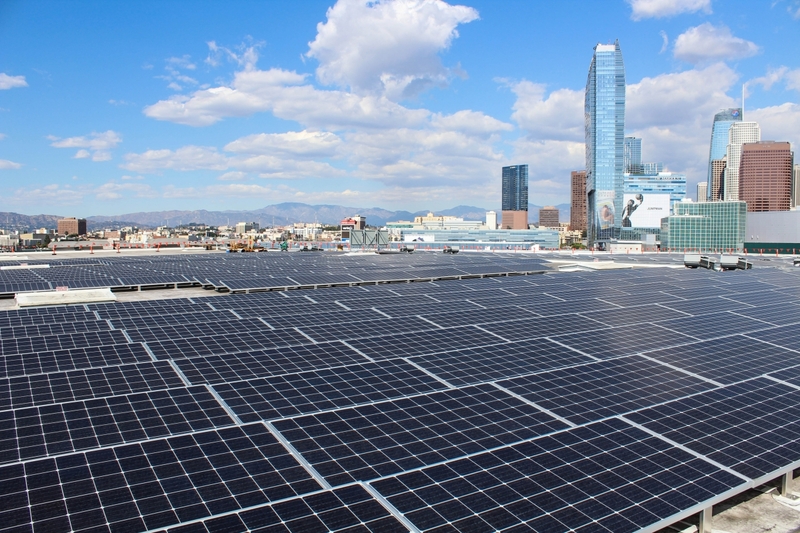 1 status as most solar powered city in the United States at the solar array installation on the roof of the Los Angeles Convention Center on April 4, 2018. The new array is projected to generate 3.4 million kilowatt hours per year which equates to 17 percent of the LACC’s annual energy usage (equal to enough electricity to power 565 homes in Los Angeles) and will reduce the LACC’s carbon footprint by 2,554 metric tons per year (equal to removing 2,794,396 pounds of coal from being burned and/or planting 66,192 trees). 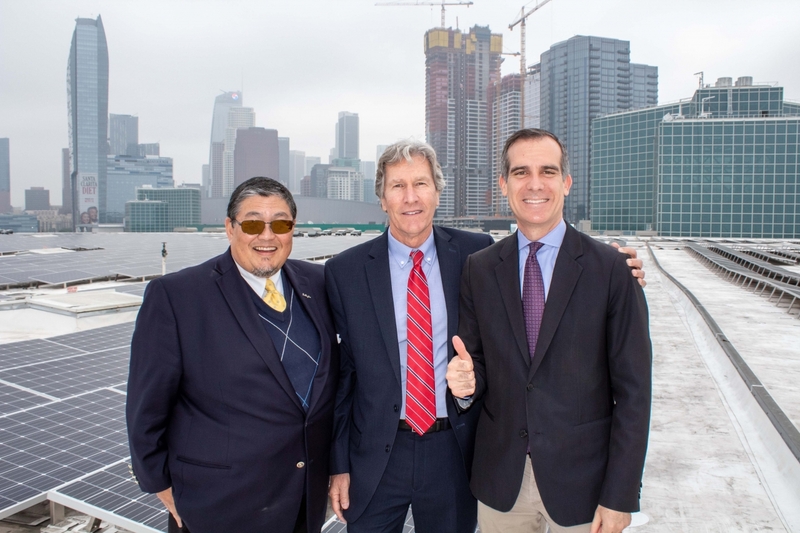 The project contributes to the mission of Mayor Garcetti’s “Sustainable City pLAn” and AEG 1EARTH, AEG’s sustainability program established to reduce the company’s environmental impact.